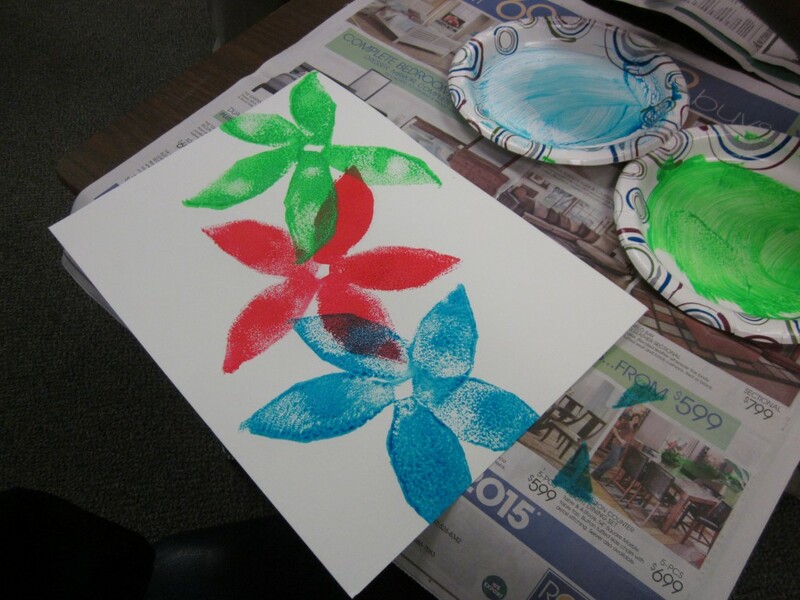 Make these gorgeous poinsettia sponge paintings! 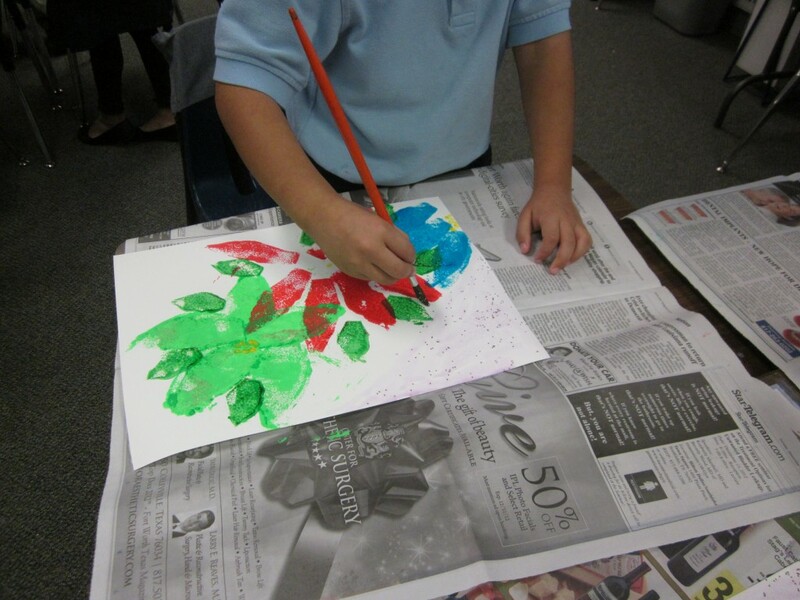 I have a wonderful friend, Brenda, who comes to my class occasionally to do art with my students. 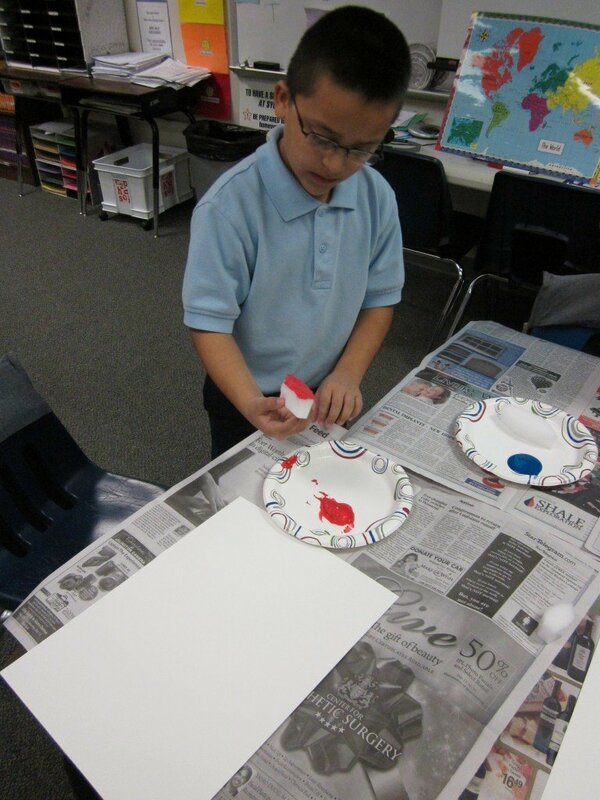 We don't have art at the elementary schools in our district and it is hard to work it in. Having a friend plan and teach these projects allows my students to experience art without adding more to my already overflowing plate! Thanks Brenda! 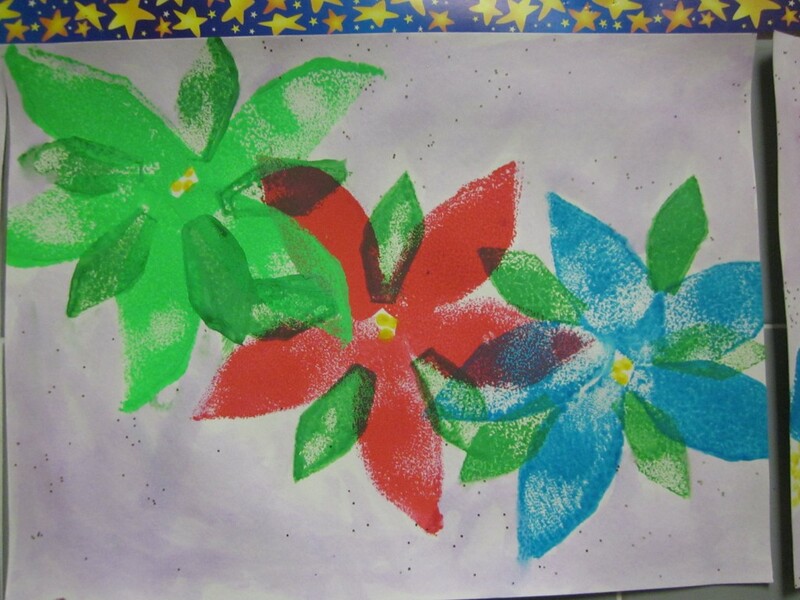 For Christmas we made these sponge-painted poinsettias. The idea came from Deep Space Sparkle. This is a great place to find all kinds of art projects! Brenda made a PowerPoint so the students could see all of the steps from start to finish. 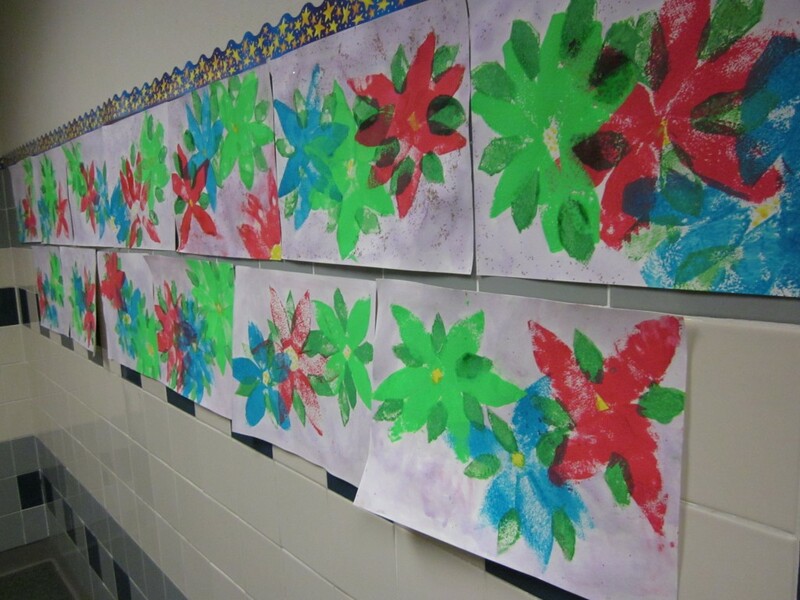 It was a lot of fun and the paintings turned out fabulous! Cut foam sponges into the shape of the flower petal. Make 3 flowers in a diagonal across the page. Add dark green leaves using a smaller sponge cut in the same petal shape. 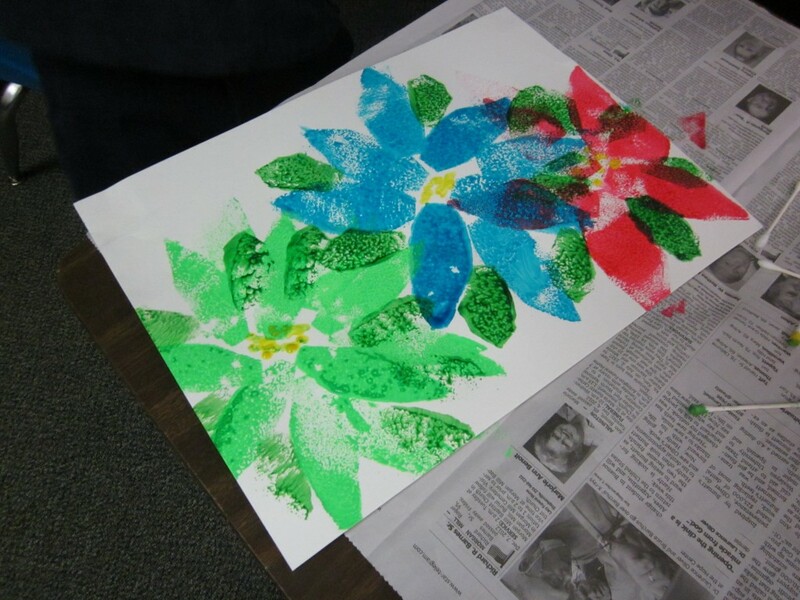 Using a Q-tip, add yellow dots to the center of the flowers. Paint the white areas with a glittery wash made by watering down lavender paint and adding glitter. Well that is a really cute idea! !